Once crypto newbies realize that there are thousands of other cryptocurrencies besides Bitcoin on the market, they get pretty much confused. And to be honest, it’s hard to say which ones of that vast amount of blockchain-based projects will survive in the long run since they are all more or less in an experimental stage rather than already being actively used for something. It’s not possible to tell which charts will “go moon” at some point in 2018, since nobody can foresee the future. However, we can analyze the projects and estimate their future value for our modern world which automatically means a higher potential for a long-term rising price. 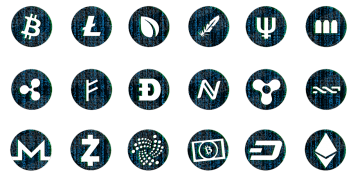 We consider the following cryptocurrencies as some of the most interesting projects for investors since their concepts look promising and they are all backed by certain convincing fundamentals. Neo – Originally known as “Antshares” NEO is widely and commonly known as China’s Ethereum. NEO operates within the same ideas of ETH wherein people would be able to trade any asset through blockchain technology and smart contracts. The biggest competition of NEO is ETH since they have the same backbone idea with ETH on the 2nd spot with NEO closing in at the 10th global ranking of coins. China’s number one coin is looking great as of this moment which naturally attracts investors. OmiseGo – The OMG or OmiseGo coin was built on the Ethereum platform and envisions being the best P2P crypto exchange platform in the market one day. The exchange is called OmiseGo and they specialize in decentralized exchange by directly providing service from your wallet to another person with them providing the connection. Unlike current exchanges wherein you need to “buy” crypto from the website and trade it to someone, here they provide “real” decentralized exchange experience. The value of their OMG coin rises as their exchange website gains popularity among the exchange community. Golem – A decentralized supercomputer wherein they combine the computing power of all the machines in its own network. It is called the “Golem Ecosystem” wherein users will be able to provide their unused computer resource to create the decentralized supercomputer. Golem also provides services to people that need extra computing power which is awesome since this creates a community with the whole idea itself. The Golem token or GNT can be purchased within several exchange websites today. Waves – Waves launched to provide a decentralized network that provides developers their own blockchain-based applications. The WAVES token is something unique since you will be able to create your own coin based on real-world assets. Their This awesome feature is what attracts people from getting the coin and investing in it since it has something distinct to contribute to the crypto advancement. BAT – The BAT token gets its strength from their browser called “Brave”. What Brave does is unlike any regular browser we have today. We all know that browsers are owned by advertising companies that record every website we go to for them to see what we are interested in buying; thus creating ads that are coincidentally something that we would buy. Brave illuminates this and provides a decentralized browsing experience wherein users get paid with BAT token when they watch ads and will also be able to donate BAT token to websites that they like to visit. Monero – XMR or the Monero coin is probably one of the “older” altcoins that exist today. If you are huge in the exchange world then it wouldn’t be a surprise that you know what XMR is. The coin was made popular by illegal internet activities since the coin is untraceable, unlike ETH and BTC that has transparent blockchains. With XMR, your transactions are shielded from receiving to sending addresses as well as the amount being transferred from one party to another. Nano – The NANO coin was designed to replace traditional Fiat currencies just like what BTC had in mind. With that being said, they are also planning to address problems that are causing BTC issues today with the hopes of creating a better crypto transaction experience. NANO plans to cut down transaction times, address scalability problems, and do something about the energy consumption issue made by BTC mining. IOTA – One of the most popular features of using IOTA is that they charge ZERO FEES for any transaction. Unlike traditional cryptocurrencies, the coin does not use a blockchain but instead, “Tangle” wherein people will be verifying each other’s transaction. It still uses the idea of a consensus blockchain but with tens and billions of devices connected to each other. Ada – “Ethereum of Japan” or ADA gets its value from Cardano; a decentralized public blockchain that is a fully open source and is backed up by one of the creators of ETH. They operate just like ETH and provide smart contracts for decentralized applications. Since ETH was the first to provide smart contracts, ADA (which was introduced by the same people behind ETH) aims to be faster and cheaper alternative. Siacoin – Sia provides an alternative cloud storage service that’s encrypted and processed through a decentralized network. Compared to other storage providers today, Sia is the cheapest and the only service that works with privacy and decentralization. Please note that this article is not financial advice and you should not treat it as such. For reasonable investments please make sure that you learn some basics about profitable trading in order to find good buy prices. There is one major problem many people who ask for trading tips share: Even when they get a hint which altcoin would be a good buy at the moment, they don’t really know what to do later, when the coin’s price has actually increased, at which point to sell. And they especially don’t know what to do, where to sell, in case the price should have decreased instead. In order to get the most out of your investment, you need to have general trading knowledge – or even better – professional trading knowledge. Only when you really know what you are doing, you can get the most money out of those volatile cryptocurrencies. 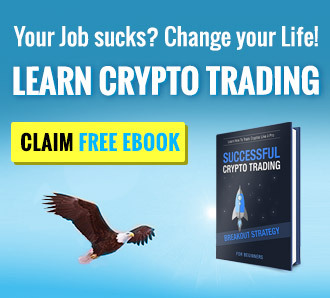 The ebook “Successful Crypto Trading for Beginners” tells it all, it’s really an excellent compilation of professional trading knowledge, that shows the reader how this game works in detail and how traders get rich trading crypto. Click here to check out the ebook. Aside from knowing which coins to invest in 2018, people should always consider the right time to invest in these coins. Always watch the charts of the coins you are planning to invest on. Charts will always give you an idea of where the coin currently sits on the market and where it has been and will be in the coming days. People that are willing to invest should always look for peaks as this will always result to “bears” that are perfect for buying. Don’t buy in bulk and do it incrementally as the price goes down and have a goal in buying more as the price plunges deeper. You can also choose to wait till the price settles and look for signs of recovery, then you purchase! Another trick is to set buy orders that are lower than the current price since we all know that crypto is a volatile asset that usually goes up and down like a kangaroo. Always spend time reading about the currency/asset you want to invest in to have a much more positive outcome. Do not ever rely on reviews and only use them only as your guide to point you in the right direction. Good luck with your next investment! Please note: This post is not financial advice and should not be treated as such. The reader’s trading decisions are only up to him/her. This post doesn’t replace a personal financial advisor.